The ATH-ADX5000 summon forth an ocean of details, textures, and sonic colors within your music. Wireless headphones were already popular when Apple came along and gave the headphone jack the axe. Now, wireless is the new standard. But don’t worry enthusiasts, there are plenty of traditional cans acting as aural ambassadors for the next generation of audiophiles. 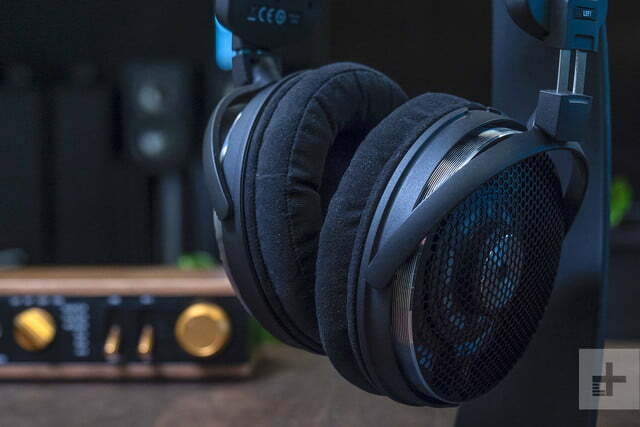 Recent examples include Audeze’s incredible LCD series (including the new LCD-4z) planar magnetic headphones and Shure’s breakthrough KSE1500 electrostatic in-ears, among several others. Sure, you’ll have to wrestle with your wallet (and the law of diminishing returns) to get them, but these headphones offer a revelatory sonic experience that even the priciest wireless wonders can’t touch. 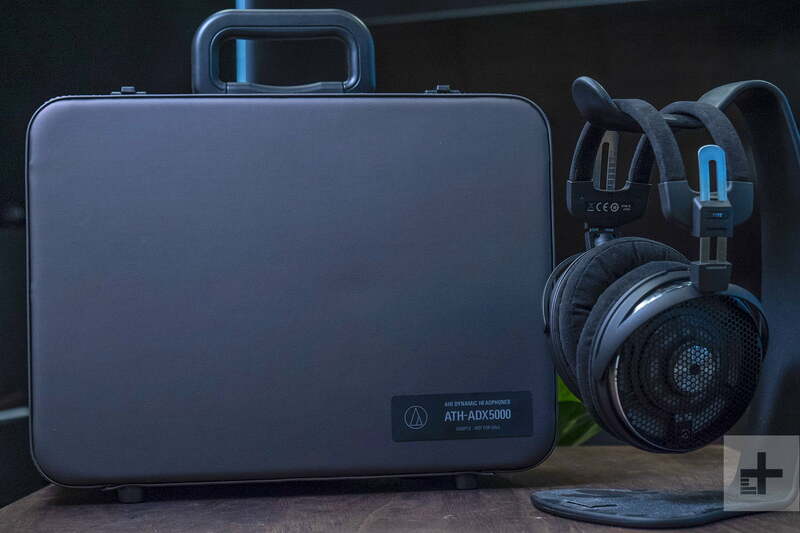 Enter the ATH-ADX5000, Audio-Technica’s latest contribution to this upper echelon of headphone nirvana. Unlike the more complex designs found in some of their counterparts, the ADX5000 spin forth their aural talents with traditional dynamic drivers, albeit with a clever twist. 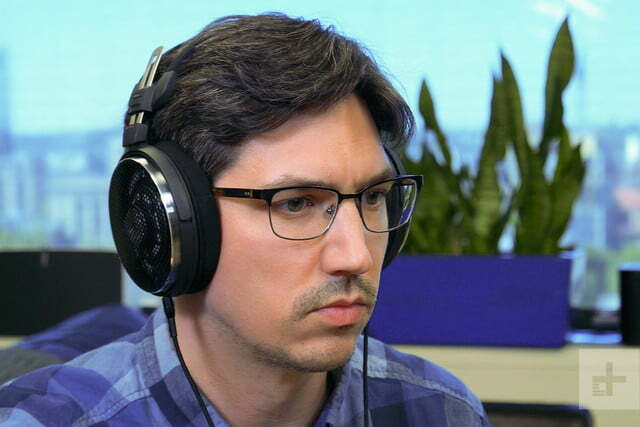 Like a brilliant physics theory, the ADX5000’s construct is simple yet elegant, offering minimalist engineering that summons all the sonic wonder you could want in a pair of cans costing $2,000. We were immediately hooked when we first heard them at CES 2018, and we’re still enjoying the high. The ADX5000 arrive packed up like enriched plutonium (Marty! ), with boxes inside boxes layered in foam and bearing a copper-toned suitcase at the core. 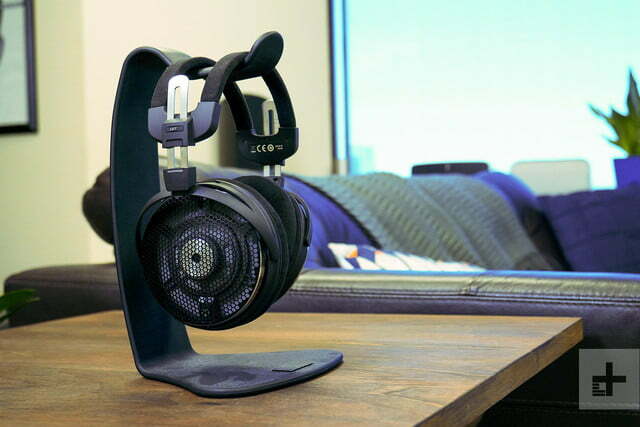 We’d likely have been floored by AT’s headphone luggage were it not one-upped by the wooden cases that house competitors like the LCD-3, and even Oppo’s much cheaper PM-1. Still, the satin lining over thick foam inside the case is satisfactorily luxurious, and once we saw the sterling gleam along the earcups’ outer rings calling our name, our audiophile butterflies fluttered accordingly. Damn, these things are light. Just over 270 grams, to be exact, or about half a pound. While that may be weighty in some segments, at this level it’s near featherweight. There are multiple slick design twists hidden just beneath the ADX5000’s deceivingly vanilla styling. Hand assembled in Japan, the headphones immediately exude an air of quality, starting with the monster-sized open-back earcups, guarded by a shield of honeycomb-punched metal and finished with ribbons of chrome along the edges. The exterior face of the 58mm drivers are reminiscent of a futuristic space station with their six-pointed star design and a flash of corrugated silver at the center. Slick design twists hide just beneath the ADX5000’s deceivingly vanilla styling. The headband is as simply designed as it gets at this price — and in this case that’s a good thing. Thin strips of steel and magnesium meet in a utilitarian design that’s highly functional and allows the headphones to easily adapt to your head. Looking closer shows off a bit of style along the ADX5000’s matte-black components, which are sprinkled with tiny flecks of silver. 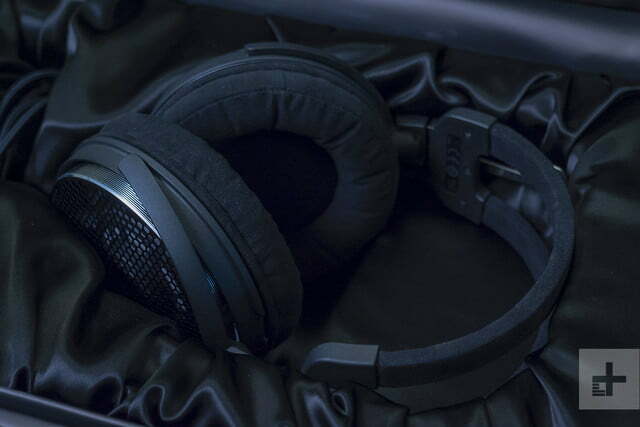 The pads along the earcups and headband are layered in fuzzy Alcantara to allow for comfortable long-term listening and, as we can attest, you can easily listen all day if you like. 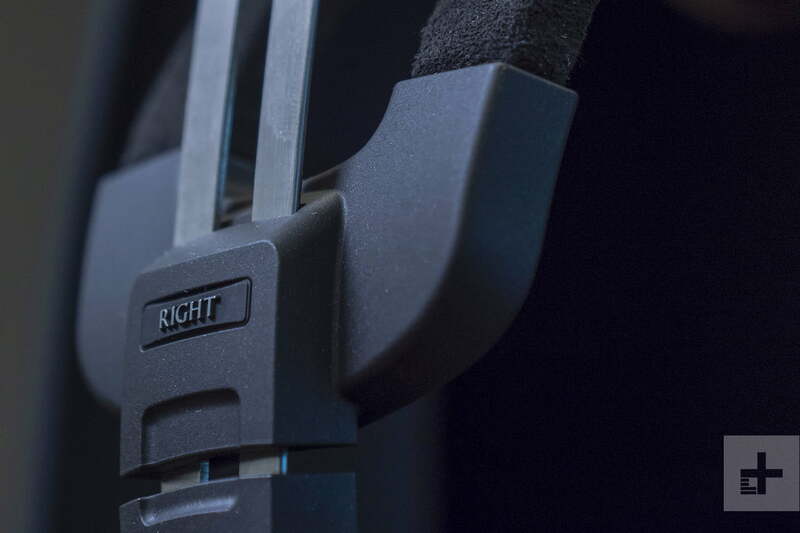 The clamping force of the earcups is just the slightest bit firmer than our preference, but it’s not something that bothered us, even after clocking in a full day’s listening. Looking to the ADX5000’s interior reveals the brilliance of Audio-Technica’s fresh take on traditional tech. 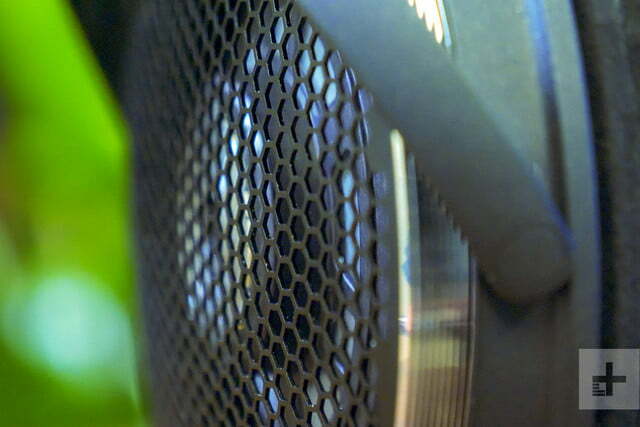 The entire housing of the drivers, including the glass-fiber baffle, the voice coil, and the permendur (a cobalt and iron alloy) magnetic circuit, is all connected within a singular, integrated driver unit. This is designed to reduce any unintended vibration and to reduce weight thanks to fewer screws. Each driver is also coated in tungsten, while the closed housing of the honeycomb exterior shield aims at minimizing air-pressure loss for efficiency. The headphones are boxed with a three-meter, oxygen-free braided cable with a quarter-inch termination and A2DC stereo connectors. Those tiny plastic inputs may well be the only weak link in the design chain — while you’ll be fine if you don’t play rough, the housings aren’t as robust as, say, the 2.5mm cable inputs on Klipsch’s HP-3 Heritage headphones, so you’ll need to handle with care. We also received an additional, extra-thick balanced cable with four-pin termination — something you may well want to invest in. When we first heard the ADX5000 at CES 2018, we were absolutely floored. We spent far too long in that little side room at the Venetian as the headphones displayed an uncanny aptitude to enhance and exhilarate every track we heard. We’re talking about striking dynamics, tactile transient response, and glimmering definition for every instrument, from Kurt Cobain’s overdriven guitar to Prince’s howling vocals and warbling synths. Genre after genre, the ADX5000 exemplified the best of everything that came their way. The headphones display an uncanny aptitude to enhance and exhilarate every track. Here we have to add that our first listen was perhaps embellished by Audio-Technica’s lovely (and pricey) AT-HA5050H amplifier which adds a bit of warmth and depth to the signal that wasn’t quite matched by our lighter colored test amplifiers — Antelope’s Zodiac Silver DAC and the Klipsch Heritage mentioned earlier. 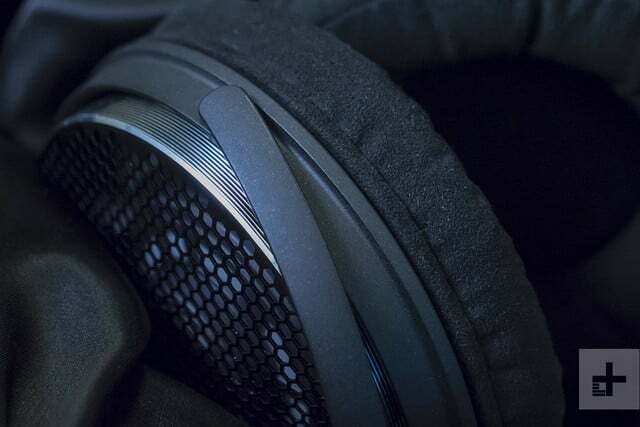 Without the AT-HA5050H to match them, the heavenly headphones drift back down toward earth — but only a bit. The ADX5000 are tantamount to a sonic spectrometer for your music, seeking out every nuance and detail across their massive 5Hz-50kHz frequency response to summon forth an ocean of details, textures, and sonic colors within your music. These are among the most dynamic headphones we’ve ever tested, bursting to the point of almost rattling your head as instruments ramp up from their rolling entrance to full on tidal waves, while minute subtleties are exposed in songs you’ve heard hundreds of times. We suppose someday we’ll run out of new sounds to explore within the Beatles’ catalog, but with headphones like the ADX5000 still arriving, it doesn’t appear that day will come soon. A quick retread of Love Is All You Need revealed an almost shocking number of sonic layers we’d yet to discover. Just after the boisterous horns at the intro, the headphones dug up a clicking reverberation of the horse-clop percussion at the center left that sounded as if we were in the very room with the Fab Four. Instruments previously banished to anonymity in the fray rise up with rich color and textural definition to stand out like newly penned solos. Textural definition is among the ADX5000’s primary aural specialties, in fact, and the headphones are never happier than when they’re digging into the gritty intricacies of crunchy, tape-saturated instruments like ‘70s analog synths and, especially, dirty electric guitars. Unless you’re a professional guitarist or a 30-year studio vet, you are guaranteed a new exploration of the wide world of guitar tone through the ADX5000’s magnifying lens. This isn’t just fuzzy vs. clean, or overdrive vs. distortion. Songs like Radiohead’s Subterranean Homesick Alien offer a master class of living, breathing guitar sounds set before you in a meshwork of near-tangible sonic construction that is almost overwhelming. This isn’t just fuzzy vs. clean, or overdrive vs. distortion. Instrumental tone is far from the only example of the ADX5000’s penchant for impressively thorough definition, of course. Every breath, string strike, percussive thunk, and pedal click the studio microphones could take in is deftly laid out by the ADX5000, evident even when foregoing hi-res tracks for the likes of Spotify’s compressed cuts. That’s thanks in part to the incredible agility on offer here, but it’s also due to the immense soundstage that seems to spread out from the sides of your head like a miniaturized Milky Way. This vast soundscape leaves plenty of room for every instrument to exist in its own organic space, from golden mandolin to plunking piano to ear-shredding guitar. 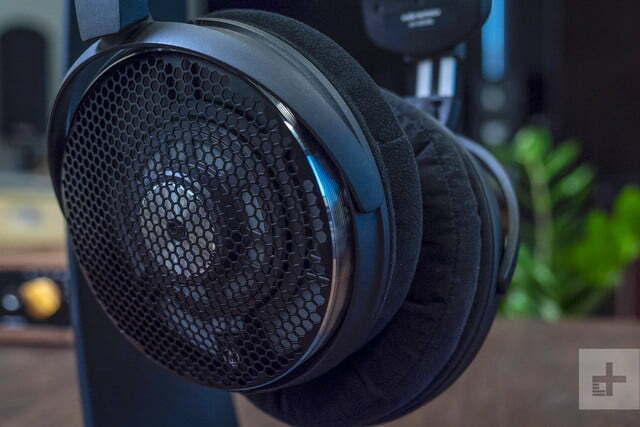 As for the ADX5000’s sensitivity: There are points audiophiles will want to consider before pulling the trigger in place of, say, the wonderfully balanced LCD-3 planar magnetic headphones mentioned above. 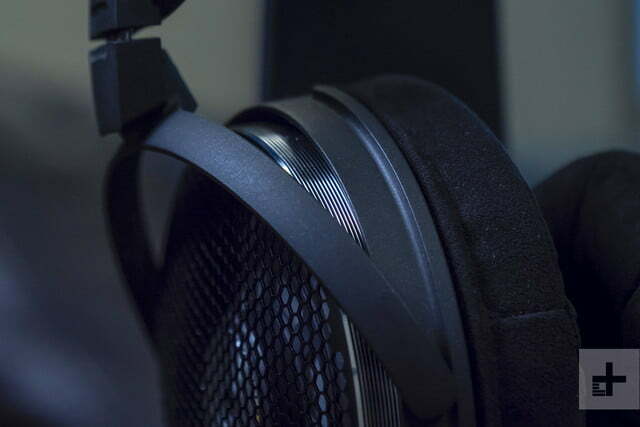 For one thing, the ADX5000’s 420-ohm impedance means they’re more difficult to power than the vast majority of new headphones hitting the market. As such, you’ll need an extremely capable amplifier to open the full threshold for your ADX5000 adventures, and with their tremendous potential and particularity, you’ll want to pick the right match. The headphones have a penchant to lean on the lighter side in the upper midrange and treble frequencies — that’s underscored by a near 10dB jump in frequency response between 5kHz and 7kHz, often referred to as the “sibilance” zone. This helps the ADX5000 deliver rushing clarity and incredible presence, but it can also give them some bite in lighter or poorly produced recordings. All this to say, you’ll want something with some midrange warmth to really set them off, and a good place to start — if you have the cash — is that AT-HA5050H hybrid amp we mentioned. If $5,000 to $6,000 is too rich for your blood, a dual-stage tube amp like the Amps & Sound Kenzie could do the trick at a lower price, or the solid-state Marantz HD-DAC1 will perform nicely for just $500 . 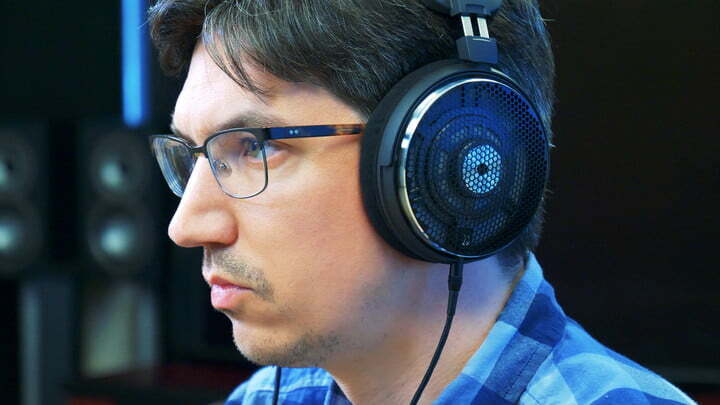 The headphones come with a limited two-year warranty, the details of which can be found at Audio-Technica’s website. With sparkling clarity, vivid definition, and ultra-sensitive dynamics, Audio Technica’s ATH-ADX5000 are a brilliant new way to explore your music with fresh ears, all packed into a stylish and comfortable design. Just make sure your headphone amp has plenty of juice to spare. With a purchase this big, you’ll want to make sure the sound signature is right for your ears, just as you’d assure your next luxury automobile handles the road to suit your driving style. 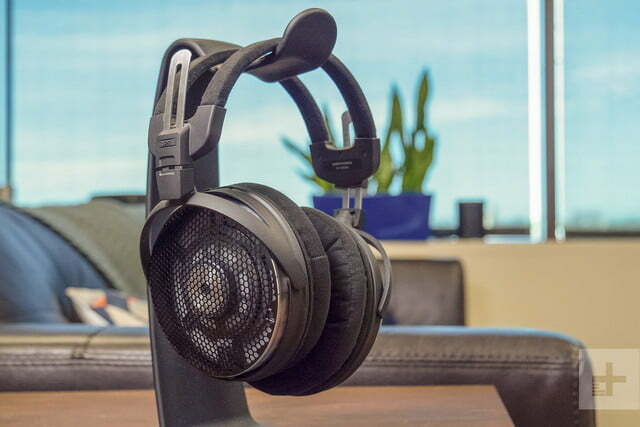 The ADX5000 is a gorgeous new flavor, while also offering extreme comfort thanks to its light chassis and cushy pads, but we still recommend auditioning other standout over-ear headphones in their class. 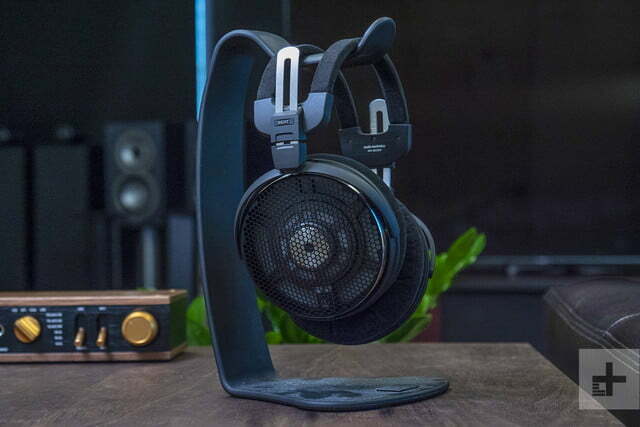 A few examples we’ve enjoyed include the subtly tactile LCD-3 planar magnetic headphones from Audeze mentioned above (as well as the LCD-4 and LCD-X); Klipsch’s vibrant, rock ‘n roll Heritage HP-3; and Sennheiser’s classic-for-a-reason HD 800 S. That’s just for starters. The ADX5000’s build quality is extremely solid and Audio-Technica is one of the biggest names in the business, so there’s little fear of anything going wrong. That said, be prepared to replace the cable down the road if you’ve got any clumsiness in your makeup. Yes. As the crown jewel of Audio-Technica’s headphone line, the ATH-ADX5000 provide no shortage of reasons to make them yours, should you have the cash. 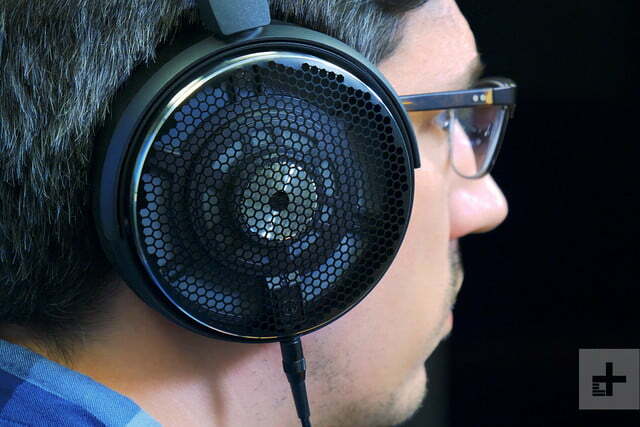 If you’re an audio nut looking for sonic refuge, these headphones must be on your shortlist.